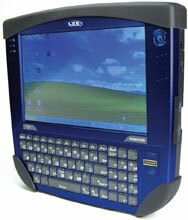 The Honeywell Marathon field computer weighs less than a kilogram, and is powered by an Intel Atom processor that runs full Windows 7 or Windows XP operating systems. 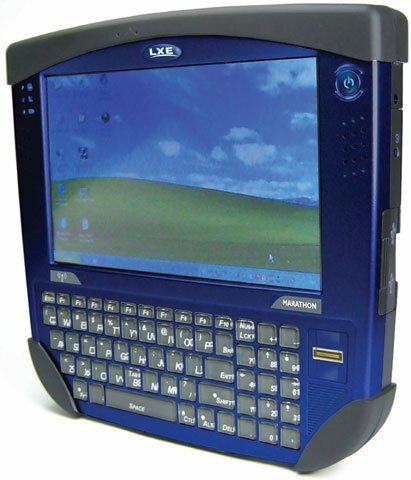 It combines multiple built-in data-entry options, including a 7" outdoor-visible touchscreen, full QWERTY keyboard, integrated fingerprint reader that doubles as a mouse, and a high-resolution color camera. The unit's available desk and vehicle SmartDock cradles allow one-handed undocking and user-friendly peripheral interfaces. Additional bolt-on accessories include a mag stripe reader, 2D imager, and extended life batteries for 8- and 12-hour continuous operation, all of which attach securely to the unit while maintaining the overall IP-65 rating for protection against dust and water. The Honeywell FX1AB1A1AUS0JA is also known as HSM-FX1AB1A1AUS0JA	.